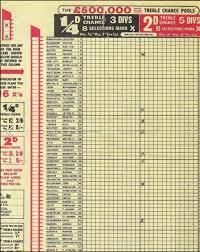 Long before the National Lottery became everyone’s preferred method for a ‘flutter’ the Football Pools were the way people had a weekly gamble. Predicting the results of the following weeks football matches using a pre-printed coupon (form) and giving rise to terms such as perm any 8 from 10 and the good old score draw. Many people also entered the Spot the Ball competition – marking crosses on a picture from a football match to show where they thought the ball might be. There were two main Football Pools companies – Littlewoods and Vernons. My Dad, Ernest Morley (known to everyone as Ernie), was a ‘Pools Man’ for Littlewoods going round to people’s houses to collect their coupons and money and leave them the coupons for the next week. His full time job was as a Manager at Marconi’s in Chelmsford – he would leave the house between 7 and 7.30am every morning and then after a full days work he would dash home have a quick sandwich and a cup of tea before setting out on his football rounds. He had two big rounds which took him two evenings a week. He worked very hard and would go out whatever the weather not getting home until after 10pm when he would finally get the dinner Mum had kept warm for him. He never liked to let people down and got to know everyone – often returning to houses to collect their entries when they had not had it ready. He got to know the dogs on the round to – most seemed to take exception to him visiting their homes and several times he came home with bad dog bites! I think he enjoyed meeting all of the people and having a chat while he waited for them to complete the coupons they had had for a week! Some of the time Dad went out on the rounds in the family car but after a while he bought a Honda 90 moped – cheaper to run and handy for nipping around all the roads but not great in the bad winter weather. Dad kept up his Pools rounds for many many years. 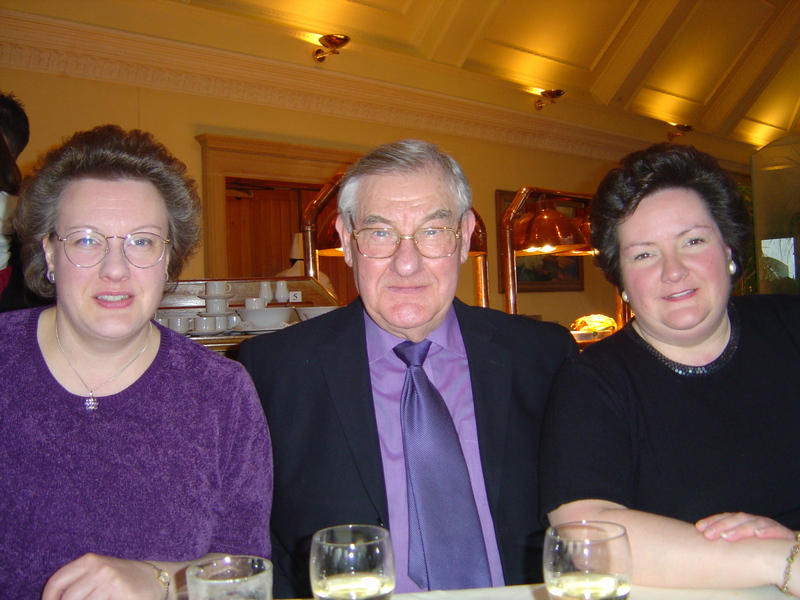 Some years before he retired he took on the role of Area Collector too – together with Mum he would drive round all of the collectors in his area collecting their envelopes of coupons, then while he was at his day job Mum would complete all of the paperwork and Dad would come home at lunchtime and deliver all the envelopes and paperwork to the central collection point. He was supposed to cut back on his own rounds when he took on the area round but of course he never quite managed to give it up! In the end the only thing that made him retire completely was when he had a minor heart attack and Mum insisted; to our surprise he agreed. A few years later – along came the internet and the National Lottery and everything changed. I believe you can still ‘do the pools’ in betting shops and on line but the days of the weekly visit from the Pools Man have long gone. Didn’t realise this page existed! I remember the pools. My Dad used to do a big round in Billericay when I was growing up (20 years ago). I used to go with him every Tuesday evening. Always had time for a chat – for some customers it was about the weekly visit, a chat. Good times (feeling old now).